Josef Urbach was a young artist when patrons of the art Scene in Essen, the jewish families Simon, Levy, Abel and Stern, facilitated a study trip to Italy for him for several months in 1921. The paintings created on this trip were passed on the families´ art collections. But when the Nazis came to power, everything changed drastically. In 1937 they declared two of his works as “degenerate art” and removed them from the Museum Folkwang. Little by little, Urbach lost his patrons, his paintings in Jewish collections were destroyed during the so called “Reichskristallnacht” or later confiscated and stolen. 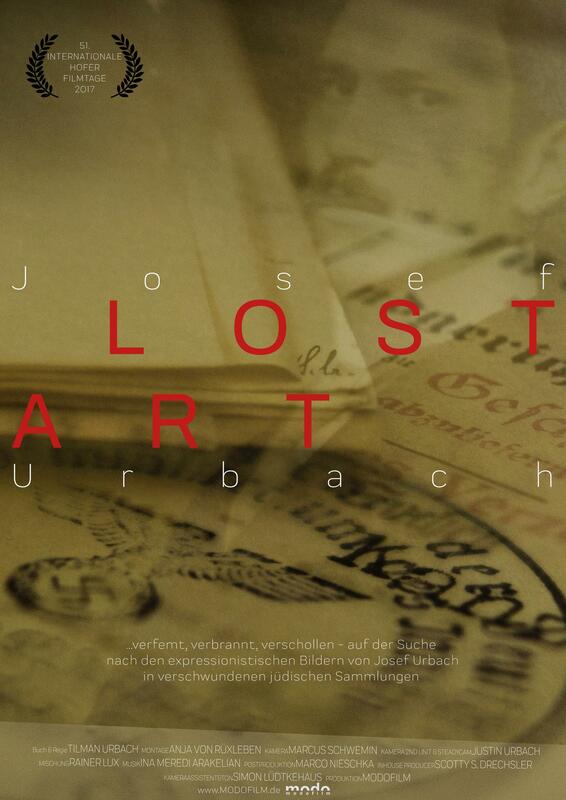 80 years later, the filmmaker Tilman Urbach goes in search of his grand uncle´s lost paintings. He visits the collectors´ descendants in Belgium, Sweden and Holland. Not only is the artist Josef Urbach´s life reflected, but also the fate of his Jewish patrons and collectors. The film examines the issue of Lost Art by allocating it to life stories and faces – and can be viewed as part of a current debate.